A business entity often resorts to hiring job order employees for particular job positions. A job order is created for the purpose of fulfilling particular work which is needed to completed over a definite period. 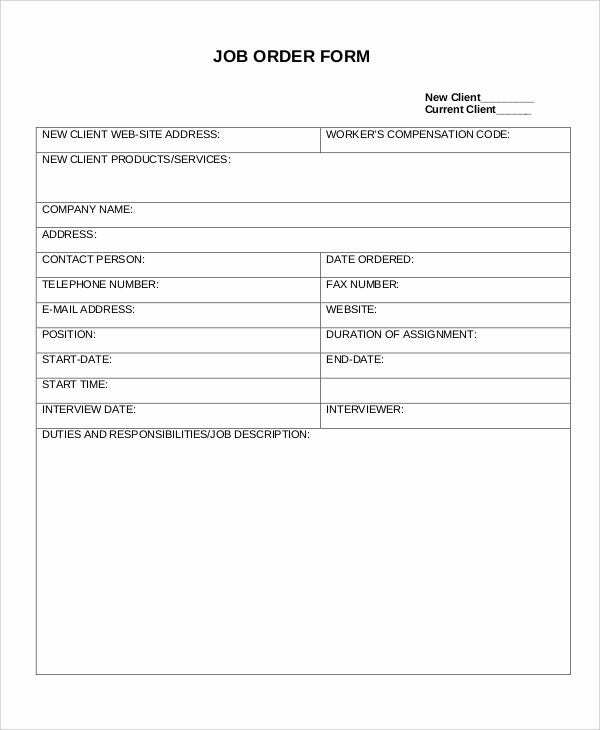 Similar to the example event order template on this website, a job order contains the details required for the one entrusted with the work to fulfill within the set deadline. 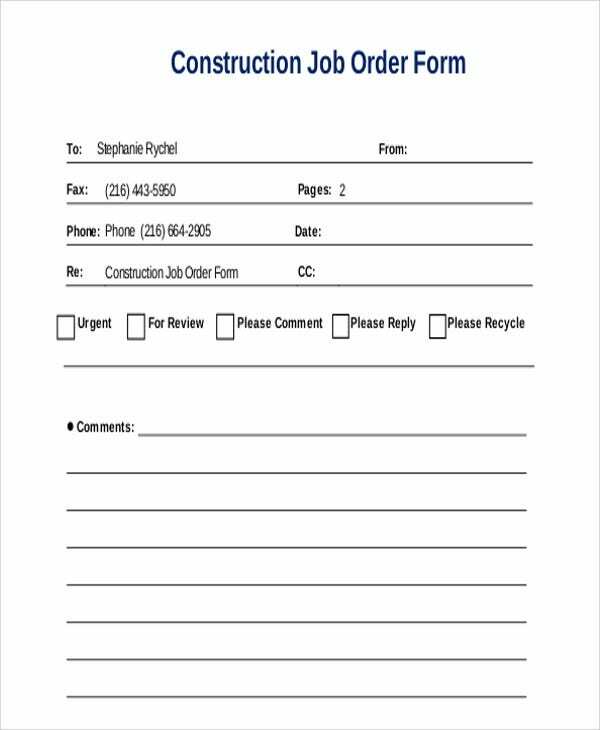 A job order form is secured in order to formalize the service or work being rendered which is also a way for a business to document the transaction. 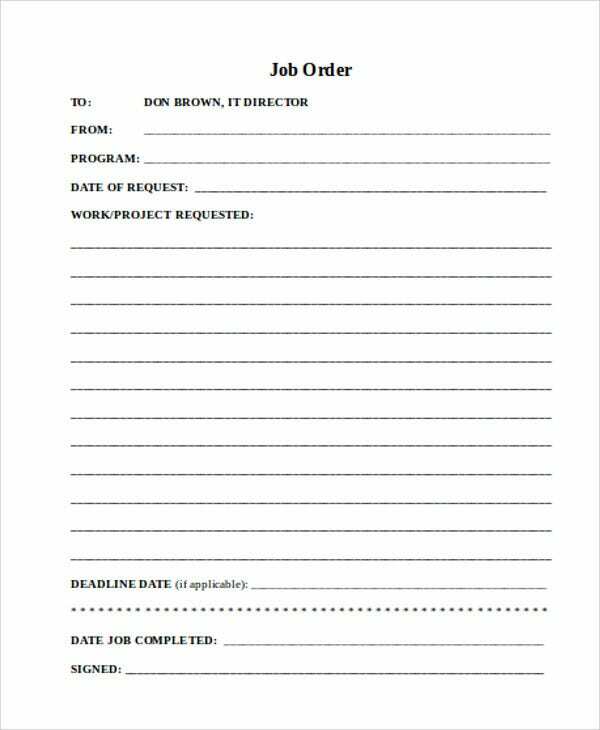 The following job order templates present different formats of job orders applicable to various industries. Clear job position. 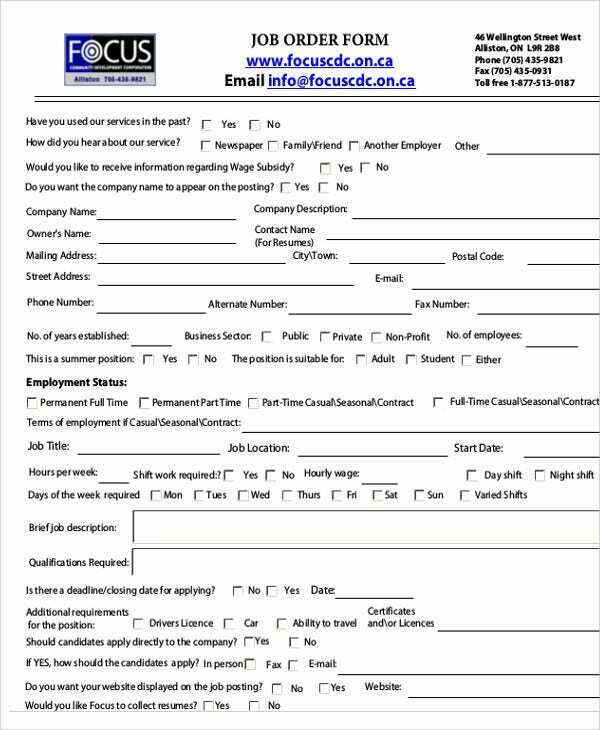 The position to be applied must be clearly indicated on the job order in order for the applicant to know the job title he will be getting when hired. Detailed job description. 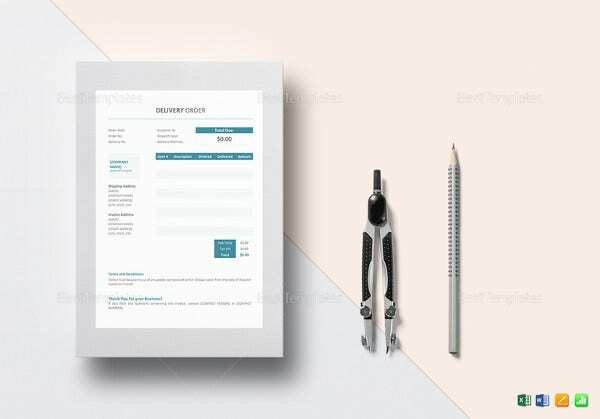 Like the information written on the sample service order template, details on the nature of the job is specified along with the compensation and benefits packages to be given to the hired applicant. Defined qualifications. A job order has an outline of the company standards and qualification which makes an applicant fit for the job just like how an order template is created with an outline suitable to the needs of a business. Stated list of requirements. 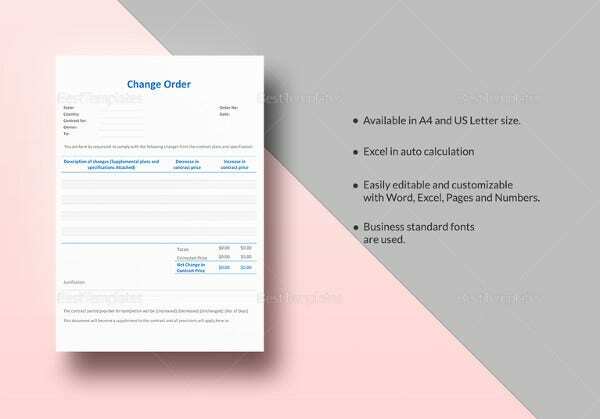 Before an entity receives a confirmation of order similar in format with the order confirmation templates, the individual requesting must secure the needed requirements just like how an applicant must comply in order to get the job order. Added skills as required. This pertains other abilities a company finds in an applicant that is suitable for the job order issued. 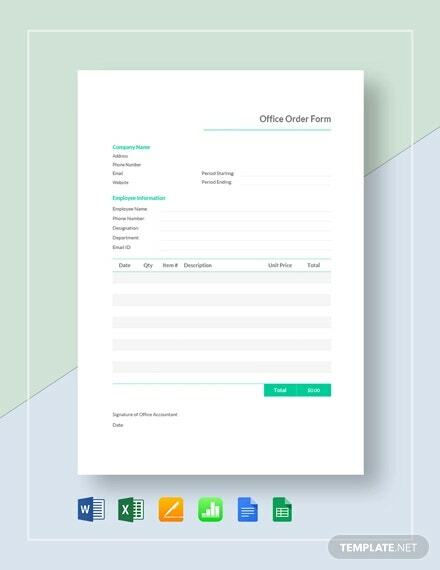 Employee Job Order Template – This template indicates the specified job to be given to an existing or a newly hired employee of a company. 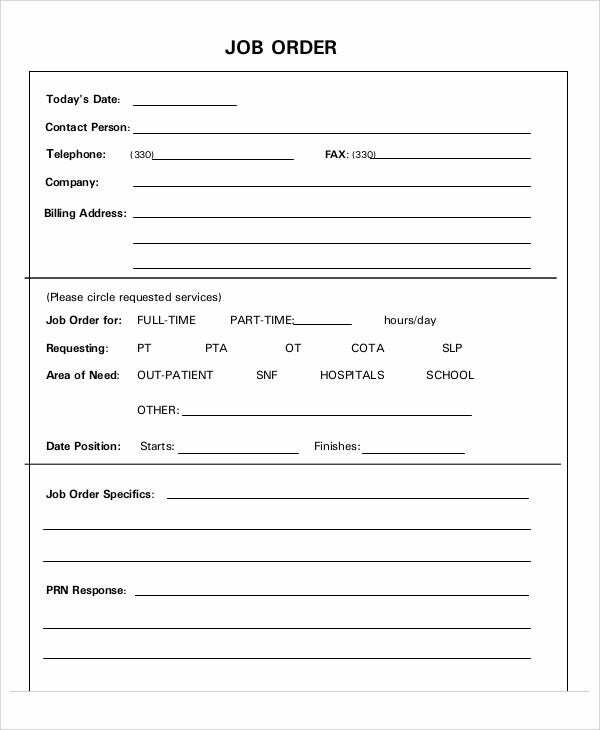 Maintenance Job Order Template – This pertains to maintenance services from a third party with description on the work details and payment terms indicated on this type of job order template. 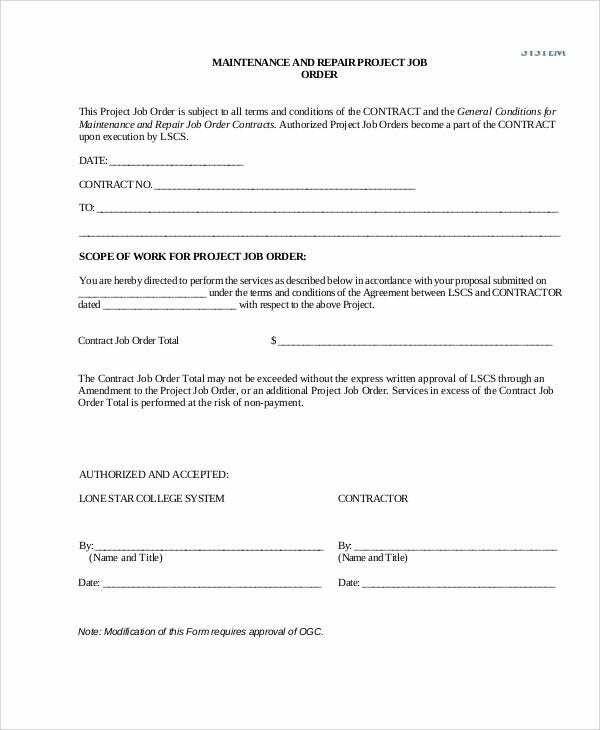 Construction Job Order Template – Construction jobs mostly covers job orders especially for contractual workers with specifications on the compensation and benefits. 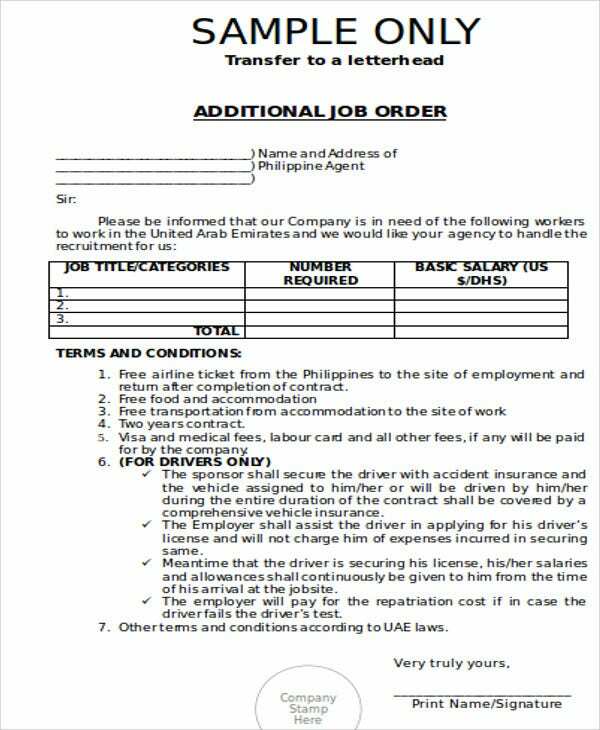 Service Job Order Template – Provision of services such as driving services are given this type of job order template by an entity to avail of their services. 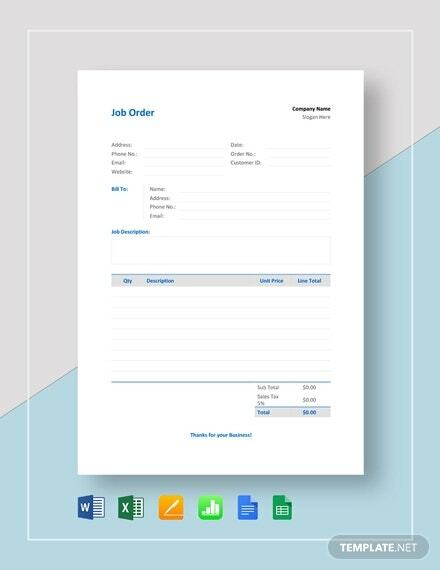 IT Job Order Template – Software services such as maintenance and installation requires the need of a job order format similar to this type of job order template from the requesting entity. 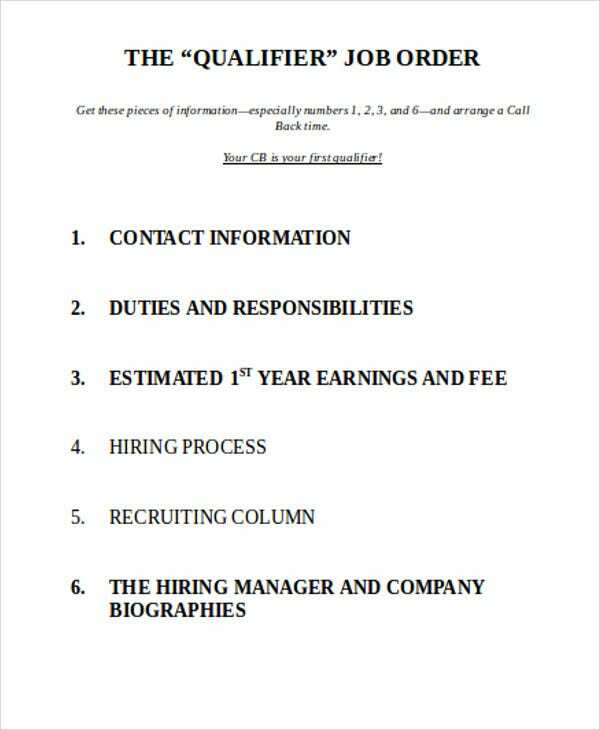 Temporary Job Order Template – Workers given this type of job order template are hired by a business for a definite period with indication on the job and compensation. 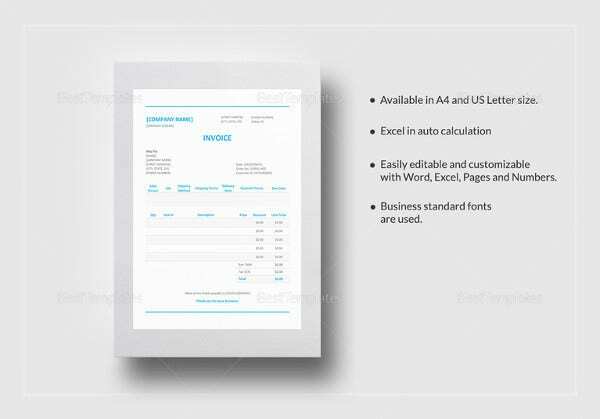 Job orders are provided by a business in different format depending on its nature. 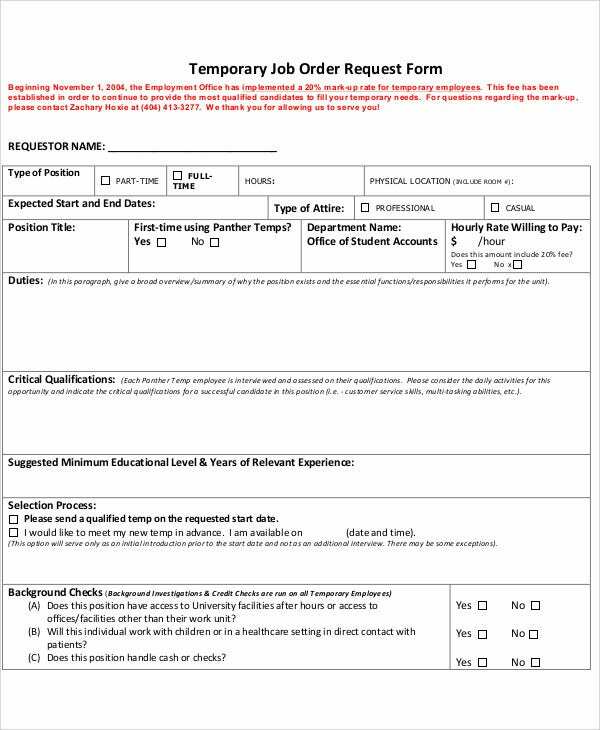 The following job order templates are provided for you to look into when selecting for the job order suitable for the needed work.